POLL: Are scientific journals unfair or biased? I had the feeling sometimes that some scientific journals, particularly those belonging to certain regions, departments or associations, have some bias or require certain characteristics to research and to the manuscript that make it difficult to publish articles that are not of their affinity group. This has happened to me especially in Spain and the USA, so I imagine it will be a global widespread problem. In particular, I find difficult to publish in American journals indexed in Journal Citation Reports (Thomson Reuters), which often have a series of demands that I don’t find in other countries journals the same level of impact factor; I don’t not know if their quality level is higher or that they distrustful of the research done outside the USA, which would be discriminatory. I believe that it has to do with what is taught in the USA doctorates, betting on a certain way of doing things and a specific requirement in research, although it’s best not to generalize. This feeling of discrimination have also been felt by some Asian colleagues, but instead, they directly accuse European and American journals of racism, which I do not think it exists for what was mentioned above. But fortunately I feel that this presumably unjust situation is changing with the entry of new competitors / players in scholarly publishing, such as Open Access journals, article repositories, academic social networks or platforms such as Gaudeamus, which democratize the knowledge of scholarly publishing and open the opportunity to disseminate research from authors all around the world. With these thoughts I propose you to vote on this survey and change a little our scholarly publishing world! A few days ago I was criticized ironically on the social networks (by a non-academic consultant) by the grammar of one of my blog posts, although I take much care of the English writing, of course, and I usually dedicate to it around 25% of the time. It made me feel pretty bad, but it helped me to reflect on the theme of research papers, English language and fair play. Something similar can happen to non-native English speakers with our academic articles, with which I’ve never had trouble publishing in premier journals in English, the last one in a fist quartile Journal Citation Reports (ISI Web of Knowledge / Web of Science) indexed journal. It’s true that there was a peer-reviewer (I don’t know whether He/She was native or non-native English speaker) in one of them who told me something about the writing, but as I explained that I had sent it to edit the English (I had the bill), they didn’t say anything back again. To further the potential of being published, so to have a greater impact and citations. And because is what we have, since most of the indexed journals are published in English. Those of us who are non-native English have a handicap here, but it need not be a barrier to disseminate knowledge. The world would lost much of the innovation and development if journals were not open to international scientists, and journals understand it this way, there could be no complains about it. Another thing is that the English required for the manuscripts is of first class, which is fair and reasonable but slows and lengthens the process of publishing in journals for non-native speakers. Once I have a revised and contrasted research draft in Spanglish (parts in English and parts in Spanish), I translate it fully into English, paragraph by paragraph, carefully reviewing the meaning of each sentence and making sure it is understood. Then I send it to edit the writing to a specialized academic editor on my field of knowledge. And, finally, with the reviewer’s comments, I correct and improve it. Thereby I expect that my articles, and blog posts, are understood, are well written and transmit my research and ideas, not that they win a prize for literature or are compared with the works of Hemingway! On the other hand, I think that non-native English academics should also be given a fair chance in this publishing world, providing we observe the writing rules and don’t hide behind our limitations. In the previous post, I suggested the idea of ​​using the corporate governance model but for academic journals and research, a kind of Journal Governance system, aligning journal practices with each other and with the scientific environment in which they operate, which would lead the academic publishing industry towards a Corporate Governance system for journals. In corporate governance there are two leading models: that of the Shareholders (in our case the journal would seek wealth maximization), monitored by the market, that is, their readers, paper rejections ratios, subscriptions, indexation in high ranked indexes, publication prestige, etc. ; and that of the Stakeholders, having into account a dense network of journal collaborations; but the trend is to use a mixed model, in which the publishing world could have the following key Journal Governance Variables. The journal owner (publishing company, faculty/university, scientists): Maximization of the journal value. The editorial board: Transparency and international approach. The editors (Editor-in-Chief, Managing Editor): Independence and loyalty. The peer-reviewers: Knowledge and ethics. Readers, looking for quality, innovation and rigor of published research. Authors, seeking the prestige of the journal. Funding institutions, in need of project validation. The regulation of each country on education and teaching. Many of these forces are currently existing, but in a weak way and not incorporated or regulated by a comprehensive model, for example forcing journals to publish a sort of Journal Governance Annual Report, among other practices, which would be compelling as other quality practices, such as peer-review or independence of the academic board. Anyway I’m not naive, I know that this hypothetical system of Journal Governance wouldn’t be infallible either, but would be the best we could come to have in the medium term, don’t you think so? It is important that research results can be replicated, and in many cases have not been made by tech firms, because data were allegedly manipulated. Also blames journals, which may be selecting the more sensational or interesting articles for their readers. To solve this problem it raises fairly complex ideas, difficult to implement in practice from my point of view for all fields of knowledge, such as including a system of post-publication evaluation, or even registering the research protocols, so it can be monitored and trial data can be tested and inspected. Currently, publish in journals is an elephant pregnancy, 22 months: once the draft research is ready, it must be passes to a paper format, with the following peers and co-authors revisions; then you have to choose the right journal; adjust the paper to its specific format and translate it to the proper language, if necessary; then you have to send it to the journal, which usually have up to 90% of rejections, and take up to a year to be re-reviewed and eventually accepted. Therefore, I think that complicate the process would be counterproductive, but I agree that something certainly should be done because this system gives rise to errors and fraud, which could lead to a slower advance of science and humanity. As a researcher in finance, it comes to my mind the implementation of corporate governance practices but applied to academic journals and research (Journal Governance), which is somehow already being done. The prevailing logic would be that journal practices are aligned with each other, as well as with the academic environment in which they operate. Paulo Cesar Chagas Rodrigues, Bachelor in Management, Master in Production Engineering and pursuing PhD in Mechanical Engineering. From 2008 to 2012 was a member of the organizing committee of the National Production Engineering (ENEGEP). From 2008 to 2010 was a member of the organization committee the International Conference on Industrial Engineering and Operations Management (ICIEOM) and National Meeting of Coordinators of Production Engineering (ENCEP). From 2008 to 2011 published five book chapters in Hamburg International Conference of Logistics (HICL). 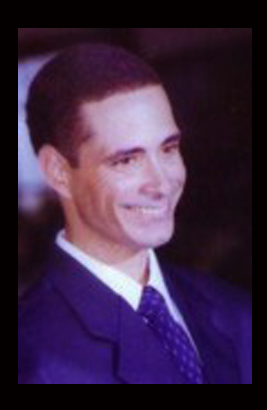 From 1989 to 2004 he worked as an analyst for computer support, providing services to companies such as HP, Compaq and IBM. From 2008 to 2011 was a professor of Business Administration courses and Sugarcane Production Technologist at Sacred Universidade do Sagrado Coração (USC) in Bauru, SP, Brazil. Since 2011 he has been exclusively dedicated to teaching in technical courses in Agribusiness and Events, at the Federal Institute of Education, Science and Technology of São Paulo (IFSP). In 2010 he started the project of the scientific journal Independent Journal of Production & Management, which seeks to dedicate his free moments for the management and dissemination of the Journal. The IJM&P is a journal for unpublished works related to Administration and Engineering of Production and Mechanics and Economics as well as works that present results of studies and researches about the activities of Science and Technology Information. 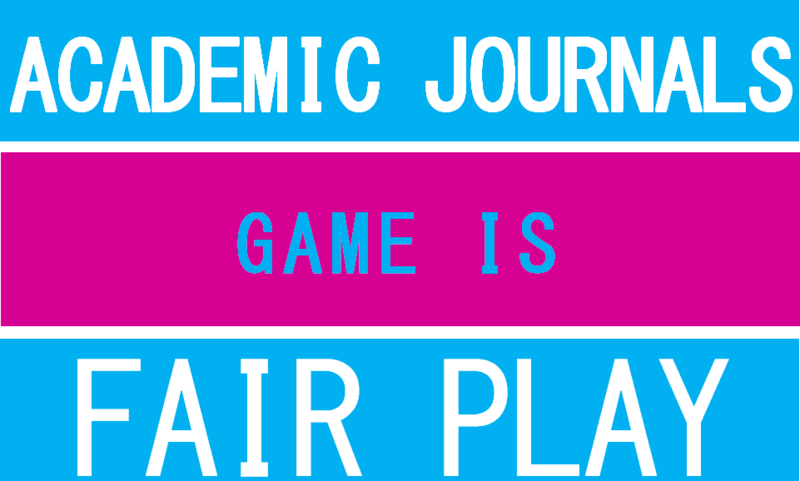 The Journal is published on a semester-by-semester basis in June and December and is Indexed in several databases. Gaudeamus: Peer review is a standard requirement for a journal. Do you foresee any changes in the future about this quality system? Paulo Cesar Chagas: Yes. It is a standard to have a journal peer review. We do not intend to change this pattern, it is a way to try to get an unbiased review about the work we are subjected, and enable us to curb potential abuse cases. For example, a reviewer who does not like a given researcher say that his/her work is bad or to be sympathetic to say that the work is excellent. G: What are the main challenges an Editor faces regarding peer review? PCC: Nowadays I see as a major challenge in peer review: (a) The commitment of some of the reviewers regarding the pre-determined deadlines, which are informed when sending the invitation. (b) Not to overload reviewers with too much work because it means having reviews with a low standard of quality. (c) Monitor and analyze the discrepancies in the evaluation, etc. G: How do journals find good peer reviewers for your journal? PCC: While searching good reviewers we try to make invitations to researchers who have an affinity for the areas that the journal intends to act and who: (a) Are linked to postgraduate programs. (b) Reviewers mainly from international congresses. (c) Authors who have at least a master’s degree and who are or wish to attend the PhD and have published interesting papers in international journals and conferences. (d) Through the contact network we created, for example, the group created in Gaudeamus or Linkedin. (e) Other reviewers of journals that we eventually have contact. But we also tried to assess the level of commitment of the reviewer regarding deadlines for review, the contributions they make to the articles they assess, because our goal is not only to publish many works, but works with quality and that contribute to the academy and society. G: Does the perfect peer reviewer exist? How should she/he be? PCC: In my opinion there is no perfect reviewer because we are human beings and therefore flawed. We can be affected by a number of variables, e.g. fatigue, stress, depression, overwork, family problems, financial and/or professional issues, etc. Supposedly, publishers should worry about overwork, check if reviewers can assess, thank for the commitment to evaluate a particular article and meet deadlines. G: Do you think that being a peer reviewer is important for a professor? Why? PCC: It is certainly important because when a teacher will prepare your lesson or material support, (s)he cannot focus only on books, but also articles and opinions of others, so be participating as a reviewer and even as a researcher/author will help create more interesting lessons and current information, you can provide your students current examples. I often tell my students: a good book may come up at bookstores and libraries with a delay of at least 2 years of the start of the research that generated it, due to adjustments and corrections. Like an article, a book must go through the evaluation and the rating of reviewers which can take months, not to mention the other phases. PCC: Observe the policies of the journal regarding: (a) The deadlines for evaluation. (b) The amount of articles that will be submitted for evaluation by edition. (c) If the journal has affinity with their research area. (d) If the journal states the responsibilities of authors, (and) if you have a conflict of interest related to the policy. (e) If it presents the mission, vision and goal of the journal. (f) If it keeps an updated list of reviewers who evaluated the course articles over the years, etc. But I also see that the prospective reviewers should bother to provide the greatest possible amount of information for the journal they are applying for, as an instance the area and method of research, and a brief professional biography. Check through the references and the topic style to try to identify the authors, and then search the web for similar papers published by them; if you don’t like them give them a hard time, but if it’s a mate, just accept it (and tell them!). Be intransigent and perfectionist with your evaluation, show them what a successful and dedicated scholar you are criticizing everything, from data to methodology and contribution. Reject any manuscript that is similar to anything you are currently working on. Always remember your personal bias. Anyone challenging your ideas or methodology needs to be rejected immediately or if only they do it slightly, add a comment to make them change their view. To please the editor, advise the authors to include enough references within it to previous editions of the journal. Suggest the authors to include your own papers in the literature review and references , at least two or three. Disagree with the style and grammar. Suggest it is sent to a professional editor for improvement (your friend will do it at a reasonable rate). And finally, if the editor requests you some suggestions of peer reviewers for your paper, take full advantage of this opportunity and think of your scholar network, preferable those friends outside your country and University. With this kind of peer reviewers that we are made of, what sense does it make to base the journals quality on this system? But, are there any alternative models? Integrity. Do a good review, spend time and care on it. Know your journal. Read the notes for authors, familiarize with the articles it publishes, look for its citation indexes, all these will help you to set the standards for the review. Align with the editor to set the quality criteria of your reviews. 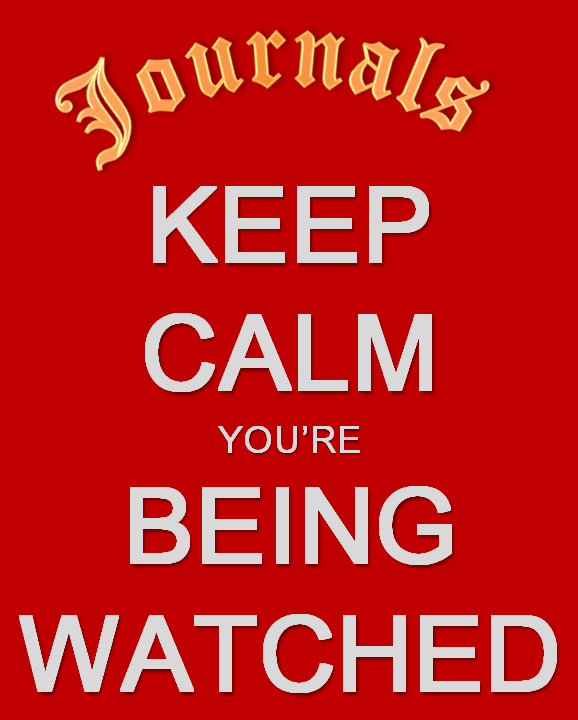 Editors usually need content for their journals, if you are too strict maybe you are not valid to them. There are many more options than accepted / rejected. You can leave it open for the author to improve it, without throwing it back completely. Leave the decision to the editor, there are still another reviewer. Sometimes the material is good but you have to help authors to adapt the paper to the journal’s editorial line. Be constructive with your comments. Think a bit of the author, who has devoted time and has tried to contribute to knowledge, it could be yours in the future. Use the journal form for reviews, it will make you easier the task of revision. Accept the articles which you feel able to review, though you should accept some papers a bit beyond your area of ​​expertise and knowledge. Editors usually have trouble finding reviewers, if you only circunscribes to your specific field, neither you are you going to learn nor you are going to make the life easier to the editor. Confidenciality of information. Do not consult nor send to anyone the paper you are reviewing, especially to a professional who does not know anything about peer review or research. If it’s something you do not know, you can ask or investigate, but YOU have been requested to do it, stop thinking much about it, contribute as far as you can and full stop. Time management. If editors see that you are a good and efficient reviewer, you will be used a lot. So reviewing 1 or 2 articles every two months is fine, it keeps you fit: you read about your research field, you learn about paper structuring, you gain knowledge of journals’ procedures and you build relationships with editors for the future. Conflict of interest. If you’re not comfortable with the review task, either you think you know the author or it is a subject far beyond your knowledge, you have several options: withdraw as a reviewer, have deft touch or work harder on the review; it will depend on your level of compromise with the journal. Be agile. There is no reason to take 4 to 6 weeks to review a paper, do it within the next week. Spend a couple of hours at most (one to read and take notes, and another to do the review, with time in between to let your little brain to assimilate it). In conclusion: easy, peer! Take it as a learning experience, a way to build yor network and an obligation to stay updated in your reserach field. If you are not a reviewer, sorry for your academic and publishing career! I found that research is not displayed in journals by magic. This blog is addressed to the community of scholars (professors and researchers) who need to publish in scientific journals. Here you will find simple methods and thoughts about the publishing process and the journals' world, and how to improve the chances to get your research published in journals.